Working safely, wherever you are, starts with identifying hazards. This is generally just before a job, more formally when planning a larger job or on a safety walk, or, ideally, just part of what you do day to day. Those who have been through the recent earthquakes in Wellington are rapidly adopting, for example, the hazard recognition skills that Christchurch residents have also unfortunately had to acquire. But what if 80% of staff were not able to complete the hazard report form? Sadly this is the case, at least for a sample of mainly frontline workers, predominantly from the manufacturing and warehousing industries. The survey was conducted by Workbase NZ, experts in workplace literacy. As part of the survey they asked workers to fill out their employer’s hazard identification forms. For a start 7% didn’t even attempt the task, while 19% failed to complete it, and 54% conveyed the essential ideas, but missed information and detail, and so the information could not be relied upon without further clarification. Just 20% completed the form properly. 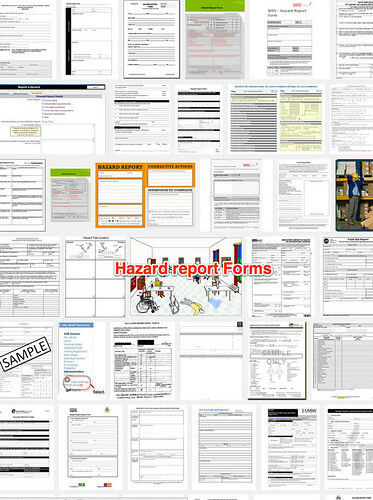 All industries’ workplace health and safety documents consistently used unfamiliar, specialist and formal vocabulary (e.g. spillage, adversely affected, orifices, designated place, eliminate). This vocabulary caused difficulties for all employees. Most employees (63% in the total sample and 73% in manufacturing and distribution companies) had limited knowledge and understanding of their company’s health and safety documents. The 24% of employees with the lowest literacy skill levels could read basic texts but they did not know formal words such as: “sustain“; “maintenance“; “visible“; “appropriate: and unfamiliar words such as “horseplay” and “rough handling”. A lot of these are ominously familiar. Next time you look at spreading your safety message (or other messages) throughout an organisation, it might pay to give Workbase a call.